Both Vodafone and Telstra have been busy upgrading their networks, and now Optus is looking to crowdsource network information through its OptusNow Android app to help it gather data about areas it needs to improve like signal strength. "As part of our commitment to giving customers the best network experience possible, we're always looking for ways to improve… so understanding actual network experience and making improvements based on this are absolutely critical for us," said Amanda Hutton, head of Customer Experience at Optus. 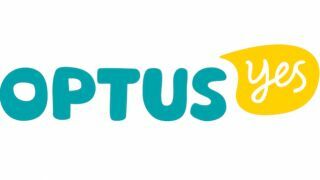 Currently, there are 300,000 Android users that have downloaded the app, but users will need to update the app for Optus to be able to collect the network data. After installation or update of the new version of the app, users will be able to opt in or switch that particular function off. The OptusNow app will be collecting network information on areas that may need upgrading, location of black spots, mobile phone faults, call dropout locations and the strength of coverage inside buildings. "Networks are incredibly complex, so this app is designed to gain insight into network experience at an individual customer level, not just the average experience," Hutton said. According to Optus, the app won't collect any information about websites that you visit or other apps that you use, and there will also be no extra data charges for using the app.